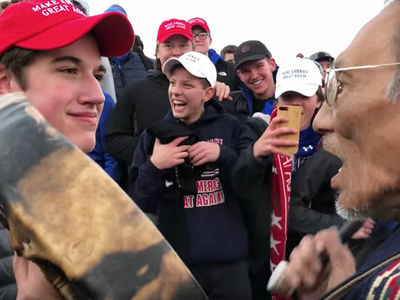 The MAGA hat-wearing student who faced off with a Native American Vietnam-era vet says his smirk seen 'round the world wasn't out of smugness ... just peaceful defiance. 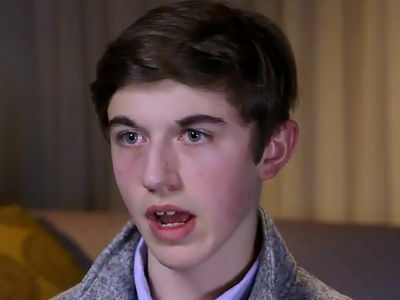 Covington Catholic High School junior Nick Sandmann appeared on "Today" Wednesday with Savannah Guthrie, who grilled him on a number of topics -- most importantly ... why didn't he just walk away, and what was up with that smirk on his face? Sandmann says, in hindsight, he wishes he would've just walked when Nathan Phillips came up to him drumming. That said, he explains that, in the moment, he felt leaving or making any sudden movement would've escalated the situation. On that smirk ... Sandmann says it was just him smiling with the message of, "[T]hat is the best you're going to get out of me, you won't get any further reaction of aggression and I'm going to stand here as long as you want to hit that drum in my face." Sandmann further explained people who have come to judge him based on one expression they saw have jumped to harsh conclusions based on mere assumptions. The full interview can be watched on the "Today" website.